If you are interested in earning money on stocks, indices and other financial assets, then the article “Binary Options for beginners” will help you to understand the whole concept of this instrument as well as where to begin with. 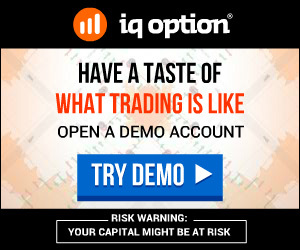 IQ Robots is the unique automation trading system developed by one of the most popular brokers in the world – IQ Option. In binary options your success partially depends from the platform that you are going to use for trading. Binary options platforms are basically interface where you select assets, pick expiration time and analyse the graph. Modern technologies and big variety of brokerage solutions make it pretty easy to launch your own binary options broker – all you need is money. Due to this fact it is getting harder and harder for a trader to recognize if a broker is a scam or not. A lot of people think that binaries are binary options, but they are not. Binaries as a term is more often used by programmers in nowadays IT industry, not in binary options. CrowdTrading is one of the online trading industry’s freshest innovations, and we couldn’t pass up the opportunity to share our thoughts on it. You’ve all probably heard of crowdinvesting and crowdfunding, which help startups to secure investment capital from large groups of people, with each person putting in a relatively small amount. For you to start off with binary options, you ought to make a real money deposit. There are plenty of binary options brokers in the industry and most of them tend to ask for huge deposits.